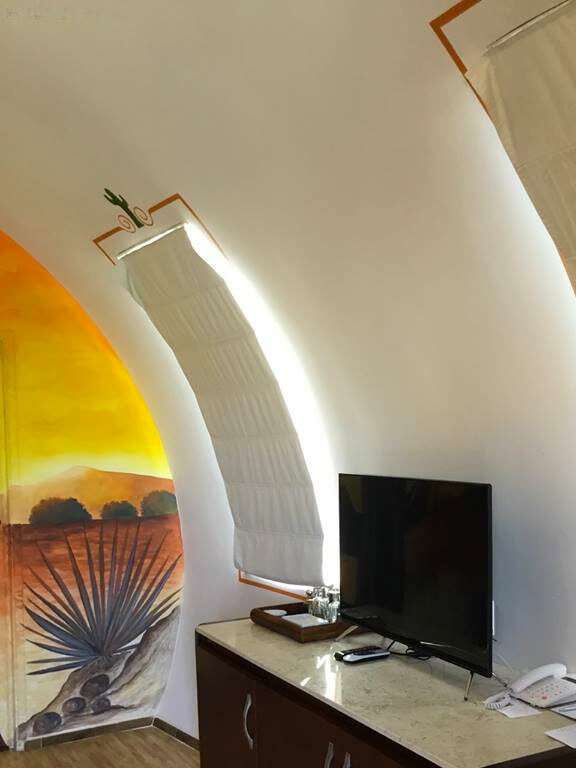 This tequila sunrise doesn't come in a glass, it comes in a barrel. 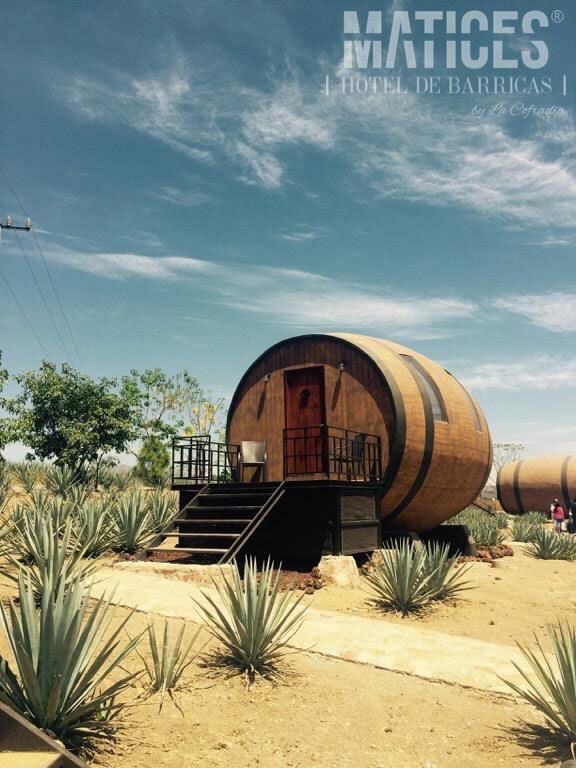 And then a glass, once you leave your tequila barrel hotel room nestled amidst the agave fields of Casa Cofradia, and hit up the working farm's tour or restaurant for some literal good spirits to match the figurative ones you'll be holding for however long you stay at the Matices Hotel de Barricas. 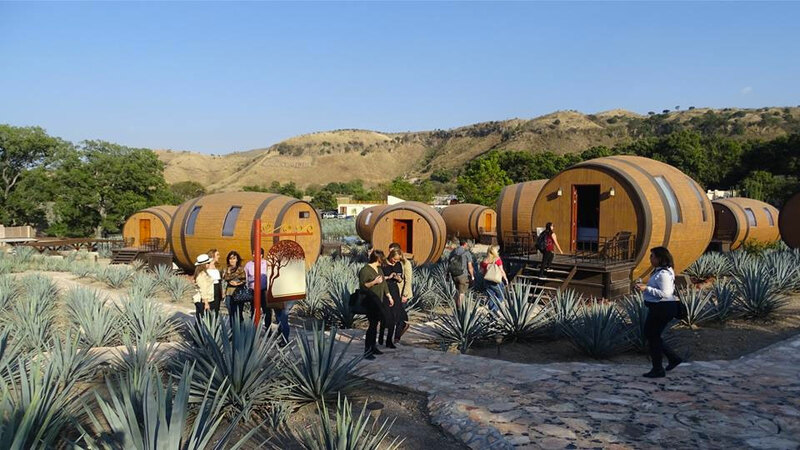 Located in Jalisco, Mexico, the hotel offers guests a true live-in experience of what it's like to be a part of the tequila industry. 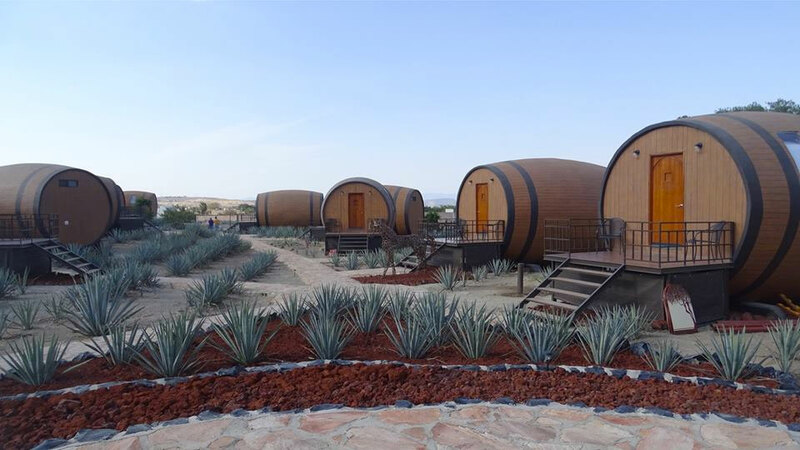 Their barrel rooms - in a funny twist of the expression - offer king-size accommodations for two, with a bed and a bathroom fitted with a rain shower. 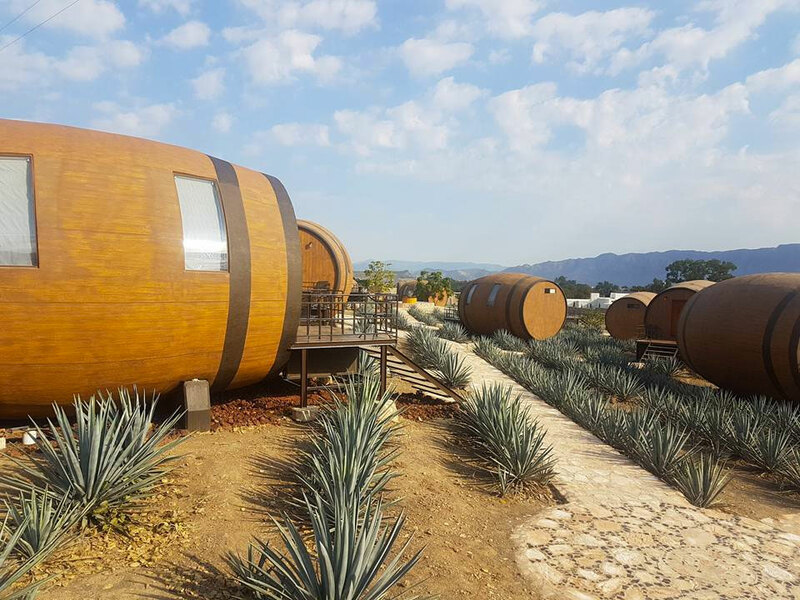 Windows provide a view of the working agave farm and tequila distillery, which guests are also welcome to tour and taste through during their stay.